Repair of any dripping or leaking taps (kitchen, bathroom, tubs, and showers), we can fix them. Repair of burst, leaking, or frozen pipes. Replacement of Poly B water pipe with Pex, as required by some insurance companies. Repair of leaking or running toilet or replacement with new. Replacement of old tubs and showers. Repair of water service pipe to your house. Inspection reports on your plumbing system. Installation of fixtures in new or renovation projects. Unclogging of slow or blocked drains in sinks, tubs, showers. Unclogging of blocked or poorly draining toilets. Garburator replacement or new installations. Fix or replace all leaking drain pipes. 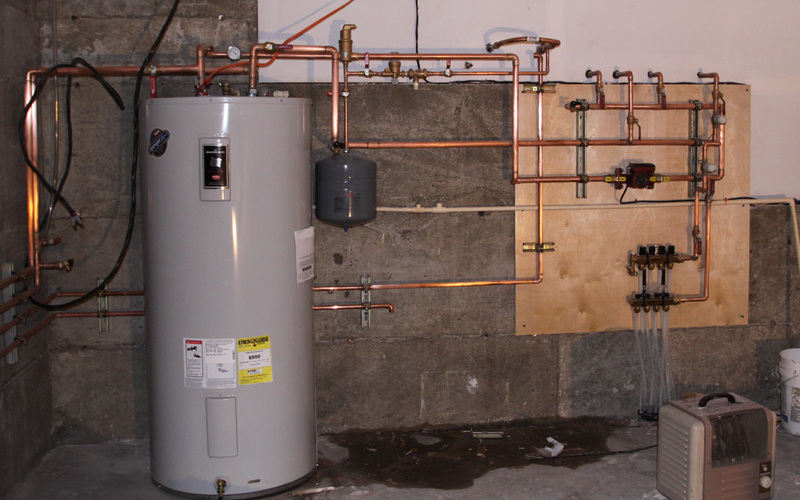 Installation of gas hot water tanks or hot water on demand systems. Additions to existing gas system for a new BBQ box or stove. Leak detection and repair. Client required tap installation and drainage services. This is how it looked after our renovation work. Our services are availabe 24/7. Very fast response to both service and inquiry calls, he knows what he's doing and provides good explanations of problems and solutions. Invoices are quick to come and a good price too. What else could you ask for in a plumbing service?